We all go to great pains to look after our skins properly and this usually entails good quality face washes, toners and moisturisers, among other products. We also tend to forget that makeup should also be part of that holistic skin care – there is no point investing in excellent skincare when the make-up you put on your face thereafter does more harm than good. This is where Colorescience® mineral make-up makes all the difference. Colorescience® is a truly skin-first line of prestige makeup that gives users the luxurious colours, textures, and finishes they expect from high-end cosmetics while also delivering the science of healthy skin. It is essentially treatment make-up for the skin, offering sun protection with superb coverage. 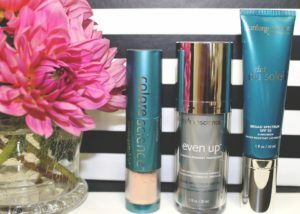 The range of products provides radiance all day without clogging the pores and damaging the skin. 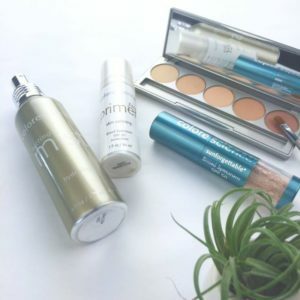 Included in the range are skin perfectors, which provide sun protection, diminish fine lines and pore size while also enhancing skin texture, tone and finish, as well as a variety of SPF 20 and 30 foundations which come in a different finishes and shades for all skin tones. Added to this is the nutrient-infused corrector palette with SPF20 for all skin types and tones. Although we talk about daily protection, applying sunscreen in the morning only will not provide you with protection throughout the day. This is where Colorescience® offers the solution with its Sunforgettable Brush-on Sunscreen SPF 30. This self-dispensing mineral finishing powder, offers powerful UVA/UVB SPF 30 protection – either used on its own or over makeup. It provides dry, convenient, broad-spectrum sun protection that reapplies easily over make-up, so good quality SPF and finishing powder in one simple, on-the-go application. The all-in-one brush applicator makes it easy to apply throughout the day, just using a circular motion to brush on, and because it feels quite weightless, the brush can be slipped into your hand bag or gym bag and you can reapply the sunscreen throughout the day for complete, care-free protection. Another advantage is its texture – because it’s a powder there are no messes or spills like traditional greasy liquid sunscreens. It thus eliminates shine, leaving your complexion beautifully matte, while also protecting against sun damage. The active ingredients in the Sunforgettable Brush-on Sunscreen, titanium dioxide and zinc oxide, provide non-irritating, broad-spectrum UVA/UVB SPF 30 protection, and actually sit on top of the skin thus creating a more effective physical barrier against the sun. Instead of being absorbed into the skin, these ingredients act like tiny mirrors that reflect the ultraviolet rays, and don’t cause any irritation. So, no more excuses or compromising on sun protection while using make-up. Colorescience® is committed to providing cosmetics that protect, beautify, and nourish all at once, every single time. And with this commitment, we can all ensure that our make-up forms an integral part of our holistic, healthy skin regimen.